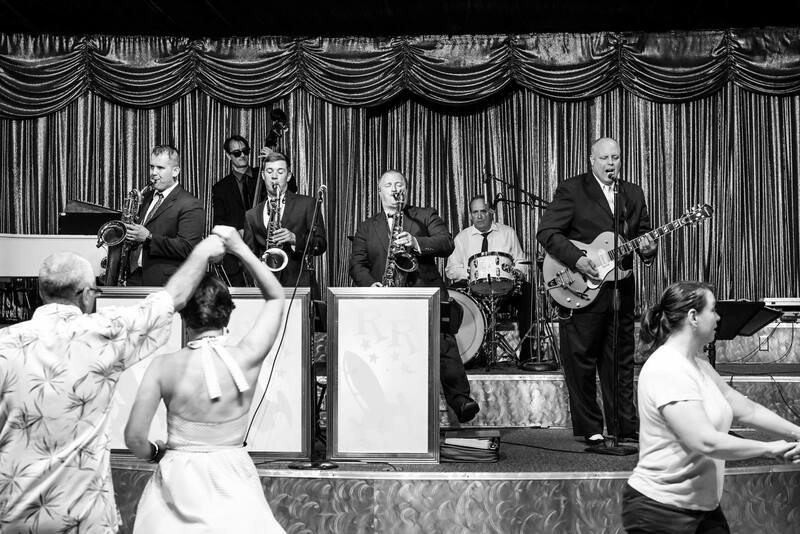 Since 1996, Chicago’s Rhythm Rockets have been delivering 100 shows a year of their brand of vintage Rhythm & Blues, with songs influenced by the sax-driven bands of the late 1940s and early 1950’s. In keeping with that style of music, the Rhythm Rockets’ performances reflect the diversity of Jazz, Rhythm & Blues for which Chicago is famous for. The Rhythm Rockets have a song repertoire’ that pays tribute to the women who were the pioneers of Rhythm & Blues, a style of music that was dominated by men! The show concentrates on the influential women who dominated the charts during the 1940’s, 1950’s and 1960’s. Some of the great artists covered in their song books are Dinah Washington, Ruth Brown, Etta James, Peggy Lee, Annie Laurie, Ella Mae Morse, Big Maybelle Smith, Nina Simone, Ella Johnson and more.